Bob Thompson is a performer, band leader, and educator and is a staple in the music of West Virginia. A native of New York, Mr. Thompson came to West Virginia to study trumpet at West Virginia State University. In 1991, Bob joined the West Virginia Public Broadcasting's ground breaking "Mountain Stage", as house pianist and featured artist. He is also co-producer of Joy To The World, a Holiday Jazz Show broadcast on public radio nationwide (since 1992), heard internationally on Voice Of America and was just inducted into the West Virginia Music Hall of Fame in 2015. He has played all over the world with diverse artists including Bunky Green, Larry Coryell and recorded with Omar Hakim, Gerald Veasley and Kevin Eubanks. 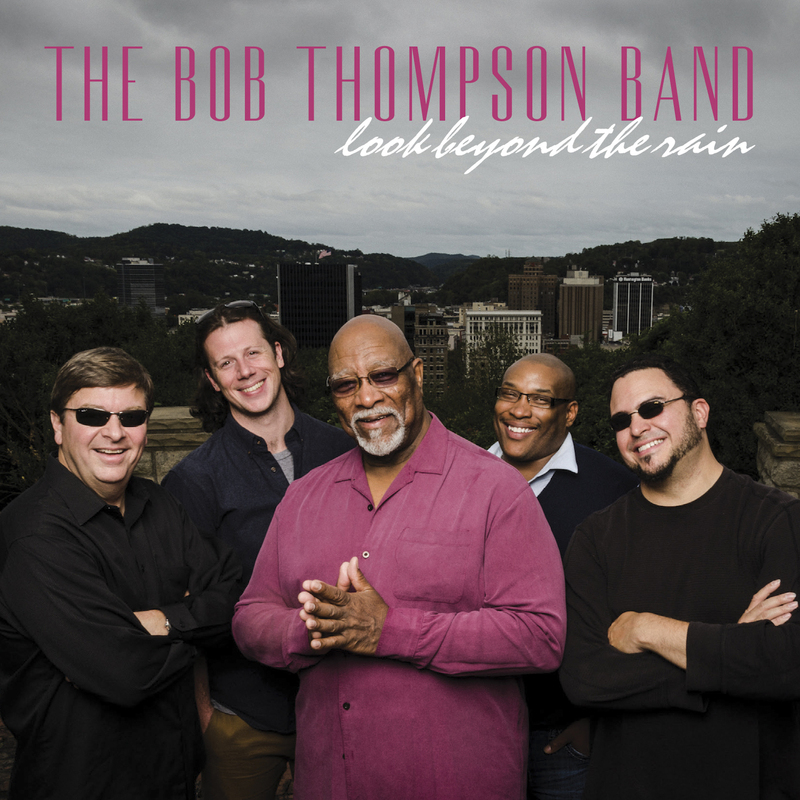 “Look Beyond The Rain” opens with “Time 2 B One” and reveals Bob Thompson dancing along an exhilarating melody. After a few bars John Inghram (bass) and Tim Courts (drums) lay down a solid funk groove cued by the piano’s opening. The opening track unfolds into a floating solo by Doug Payne (sax), a driving solo from Ryan Kennedy (guitar) and again from Mr. Thompson with a supporting solo that brings them all together. The exchange between them resolves by the end in a dreamy fade that leaves the listener wanting more. Possibly the most notable on the compilation is “The Swamp Stomp”. This time the listener is guided through the groove by a joyous and melodic theme on the saxophone. Again the rhythm section throws down a solid, funky groove and the listener is treated to delightful lick-swapping by some of the most talented musicians that the Eastern United States has to offer. The juxtaposition of the funk groove, wafting sax, beautifully linear fender rhodes and driving rock guitar really exposes the influences of this diverse group of individuals and melds into a solid singular voice. “Look Beyond The Rain” is a joyful experience, no doubt about it. These incredibly talented musicians have a way of delivering accessible melody, touching the heart of the listener and not overcomplicating things. Like any great artists, they make it look easy. “Look Beyond The Rain” is a must-listen for fans of jazz, rock, blues and funk. These songs will stir emotion and leave the listener...optimistic.